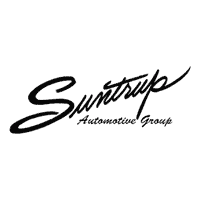 The Suntrup Automotive Group family have been servicing and selling cars since 1957 for the St Louis area. Bill Suntrup started the first dealership in the 1960s and a decade later his brother, Don Suntrup, began working in the automotive business. From there, the family involvement in the industry blossomed. Among the grown children of both Bill and Don, there are more than 20 additional family members employed in the Suntrup Automotive Group Group. Bill’s children, Chris and Tom are partners in Suntrup West County Volvo and Tom is President and CEO of Suntrup Ford Kirkwood, Suntrup Ford Westport, Suntrup Buick GMC in St. Peters and Suntrup Ford Westport. The Suntrup Automotive Group is active in its communities and believes in giving back. Today Suntrup Automotive Group has nine brands, eleven locations, thousands of cars and is every bit committed to providing excellent customer service in every aspect of the business. For that purpose, Suntrup Automotive Group is always looking for positive, motivated and dependable individuals to expand the Suntrup Automotive Group family. We believe that customers deserve reliable, fast and convenient service and need a team who can provide just that.